Old Florida is not gone, it is rooted in the heart of Southwest Florida in beautiful LaBelle. Explore our Downtown LaBelle nestled along the Caloosahatchee River famous for our soirees. Called the City Under the Oaks for a reason, find some shade under one of our celebrated oak trees while relishing in our small town charm. On February 25, Independent We Stand, a national small business movement, kicked-off its fourth annual America’s Main Streets contest to help consumers, small business owners and Main Street organizations reward a deserving Main Street with $25,000 in cash and sponsor-related prizes. LaBelle Downtown Revitalization Corporation in LaBelle is among this year’s nominees. please take a moment to cast your vote for ldrc! thank you for your vote and support! VOTE TODAY AND EVERY DAY! Our community is home to several events throughout the year. The LDRC Calendar is a great place to find adventure under the oaks! Visit our community board located at 8 Park Avenue and post your news or event. 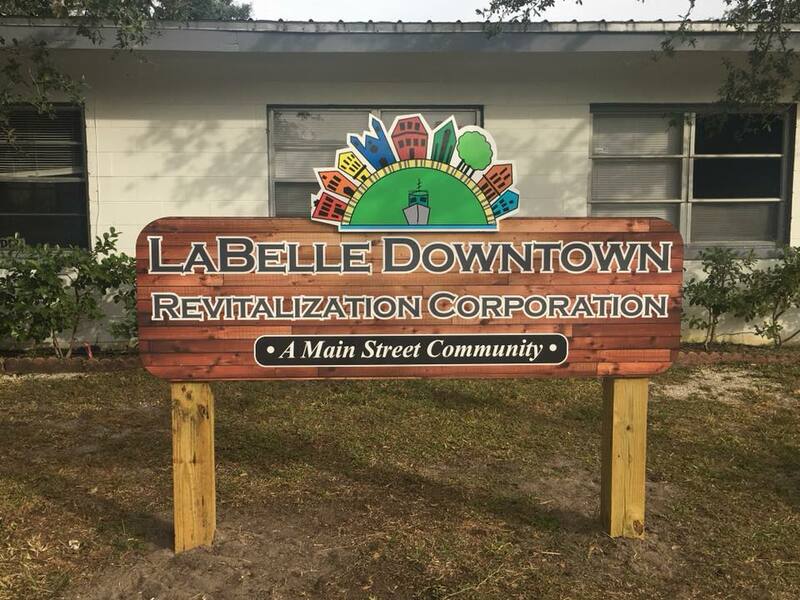 LaBelle Downtown Revitalization Corporation is passionate about the growth of your downtown district. We follow the Main Street Four-Point Approach (R) and eight guidelines. Welcome to our office located at 8 Park Avenue! Becoming a member is easy and rewarding and includes our Engraved Brick Program. LDRC has several events throughout the year to promote your business. Join today and be part of the future! A successful downtown is the key to a successful community.